Emma Schutte is part of the Advisory Board of TopFem in the Netherlands and was also member of the Board of TopFem New York. 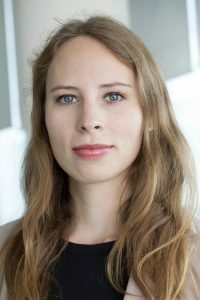 By means of introduction, I am Emma Schutte, 24 years old and a member of the advisory board of TopFem the Netherlands. I was born in Amsterdam and I now live in the upcoming and vivid neighborhood De Baarsjes. My friends describe me as an organizer, a flexible and cheerful person. I am a go-getter, industrious and I function best within a team. I currently work at Houthoff Buruma, one of the leading law firms in Amsterdam, as an attorney. In my spare time I love going to the gym, cycling through Amsterdam, attending or organizing social activities, cooking with and for friends and unwinding on my couch watching Netflix. Can you tell us which study you have completed? I started with grammar school in Overveen, during which Latin, Ancient Greek and history were my favorite subjects. However, most of my time I spent on practicing classical and modern ballet. I participated in several dancing competitions and strongly considered pursuing a career in professional ballet. After graduating from grammar school, I elected to study law in Leiden and joined Minerva, a student association. In 2012 I graduated with a bachelor in Law and Business Administration and in 2014 I obtained a master’s degree in Financial Law at the University of Leiden. Between my bachelor and master degree, I spent a semester abroad at Boston University in Boston, USA, where I completed several financial and corporate American law courses. I really enjoyed my student years and I have fond memories of my international experience in Boston. What were you like as a student and what career you were planning to pursue after this? During my student years I tried to combine social activities with classes and other study activities as much as possible. I found out it is very important to keep a balance between working hard and enjoying fun activities. Performing to my potential and maintaining a strong social network is what kept me motivated. Many of my friends also studied law, so often times I could combine academics and fun with friends. Besides attending law school, I participated in several extra curricular activities such as the ‘Honours College Law Programme’, the ‘Leiden Leadership Programme’, I volunteered as pro-bono legal advisor at the Leidse Rechtswinkel and I was a board member of Enactus (SIFE) Leiden. After having experienced different aspects of law in practice through internships at a bank, a public affairs firm and law firms, I decided that I wanted to become a lawyer in financial and/or corporate law. During my student years in Leiden I got to know the founders of TopFem, Maaike and Genevieve, through my student association. My first actual encounter with TopFem was a business dinner in Amsterdam. I was drawn to the level of ambition and interesting discussion topics. For several months in 2014/2015 I lived in New York City and was member of the board of TopFem New York. Currently I am a member of the advisory board of TopFem in the Netherlands, where I monitor the international development of TopFem. Many of the people I work with or have worked with through TopFem have inspired me and have become my friends. The most important lesson I learnt is that building up and maintaining a network through TopFem enables you to help other people with achieving their goals and give you insights into new opportunities yourself. Through the TopFem network you can find any kind of advice, connection or new challenge. I do not have one specific (female) role model. My role models are the strong women around me that work hard to achieve their goals and help others do the same. Leadership is not only a strategic vision but also the practical translation thereof. The small deeds and actions on a day-to-day basis are what define a person as a leader and what impacts and inspires me. I joined Houthoff Buruma as a lawyer for the banking department in June 2015. Besides general management of the transactions we manage for clients, my main responsibilities are advising, drafting, reviewing and negotiating corporate resolutions, security documentation and legal opinions. Additionally, I participate in three different professional lawyer-training tracks, focused on presentation and writing skills, financial and corporate law and ethics. The transition from my student years to working life was a transition I was looking forward to. I am really enjoying my job so far, although I sometimes struggle with the lack of spare time. I still try to combine work with social activities as best as possible to somewhat maintain a work-life balance. In both my job and my spare time, it is easy to say yes to everything, however to stay happy and healthy it is important I make time for myself. My job enables me to learn new skills and obtain more knowledge every day. I am working on improving my presentation and writing skills. I want to be able to feel fully comfortable and at ease when giving presentations and I want to improve the clarity of my texts. Moreover, I want to further develop my negotiation skills for corporate transactions. My long-term development goal is to use my strengths to help other people and to be able to drive strategic change and realize performance through the people I work with. I believe that every female leader should have the ability to see things in perspective, be bold and fair and enable others to act on their strengths and work on their weaknesses. At the moment I do not have specific plans for the long-term future. I still have 2,5 years to go before my (mandatory) professional lawyer’s training is finished. Planning your career far ahead is a common given advice. Planning too far ahead however, could, in my opinion, lead to overlooking new challenges and opportunities. Having several short-term plans and goals works best for me. What is your final advice to young female students and professionals? Be true to yourself; ask for help when necessary and always go after what you want and what makes you happy. Most importantly, don’t forget to have fun!